The Japan Aerospace Exploration Agency (JAXA) performed the separation operation of one of the onboard baby satellites, the VRAD (Very Long Baseline Interferometer) Satellite* of the "KAGUYA" (SELENE.) The VRAD satellite was released at 1:28 p.m. on October 12, 2007 (Japan Standard Time, JST). The KAGUYA is a lunar explorer that was launched by the H-IIA Launch Vehicle No. 13 (H-IIA F13) on September 14, 2007, (JST) from the Tanegashima Space Center. 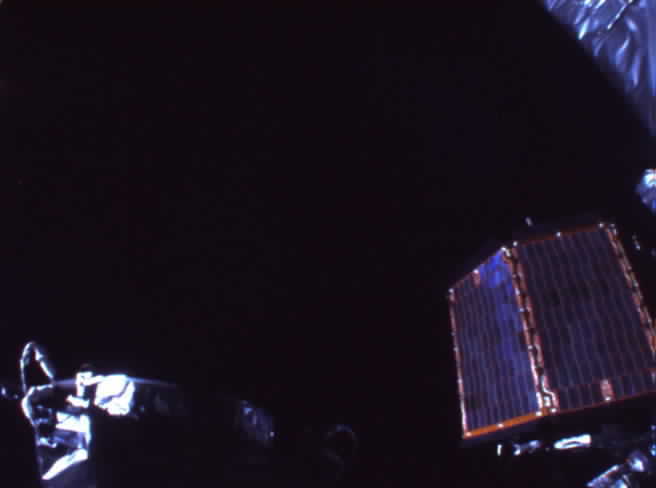 Both the KAGUYA and VRAD satellite are confirmed to be in good health. 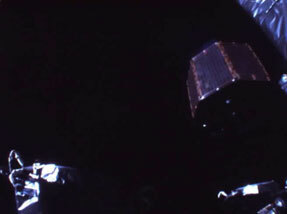 Images of the separation of the VRAD satellite taken by the KAGUYA onboard camera are shown in Attachment. "OKINA" and "OUNA" were selected from nominations proposed by the people related to the SELENE project. The names stem from the Japanese classic story The Tale of the Bamboo Cutter (Taketori Monogatari,) which most Japanese are very familiar with, as the "KAGUYA" originates from "Kaguya-hime (Princess Kaguya)" in that tale. Princess Kaguya was found by an old man ("OKINA") in a bamboo and was brought up by the man and his wife ("OUNA") with great care. Please refer to the following website for the outline of the tale. 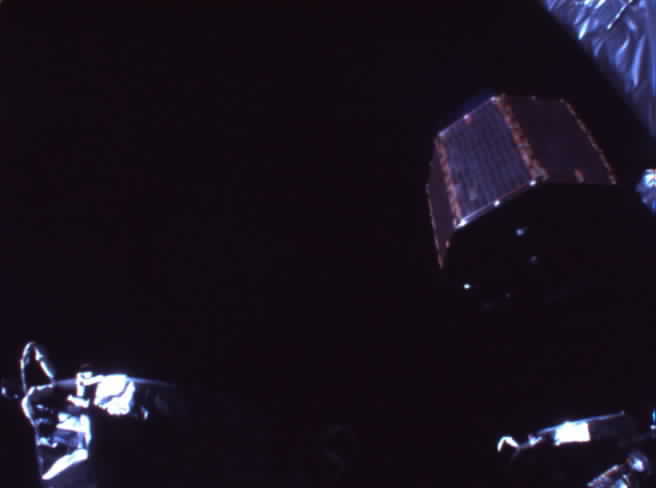 The Relay and VRAD satellites are flying in a higher orbit than the main satellite, KAGUYA, as if they are watching over the KAGUYA as its guardians. Therefore, we selected "OKINA" and "OUNA" as their nicknames.